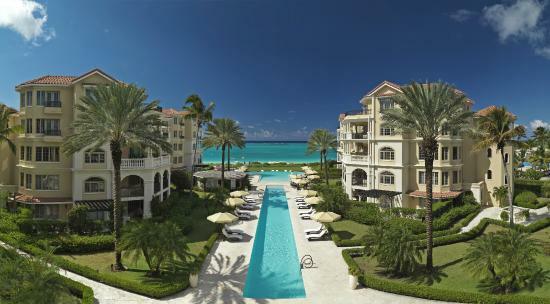 While the Somerset may seem a small resort on Grace Bay, compared to the sprawling properties nearby, luxury is in abundance. 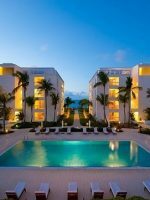 Fifty-three suites ranging from 1,400 to 5,300 square feet are set in three estate, villa and main house building configurations in the resort bordering 300 feet of Grace Bay’s white-sand beach. 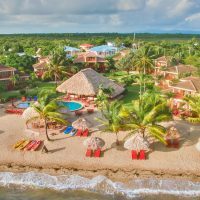 Families can relax on the beach or in the resort’s freshwater pools, or play beach games, croquet, board games or volleyball. 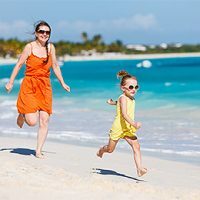 Kids will love the Caicos Kids Club’s free activities and fun, including special teen programs. (Two children 12 and under are free in all suites with parents, as well.) Adults can also enjoy some quality time together at the resort’s upscale restaurant, private dinners, or oceanfront spa treatments. Suites are unique in decor, artwork and furnishings, feeling more like homes than a hotel. Oversized closets, marble flooring, separate showers and baths in most rooms, flat-screen TVs, surround sound systems, French doors, and modern kitchens outfitted in SubZero appliances are matched with one- to five-bedroom suites with oceanfront, ocean or garden views. Onsite dining includes casual, open-air dining and fine dining, as well as private chefs for dinners in-suite or on the beach. 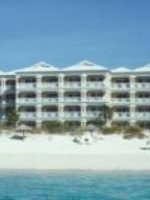 The resort can also order groceries to stock the kitchen before arrival, for families wanting to utilize their kitchens and wine cases, which can also be stocked prior to arrival. The Somerset condo-style accommodations are nothing but modern and luxurious, with no two rooms and suites decorated the same, but yet all fully embodying the feel and decor of the Somerset. Flat-screen TVS, DVD/CD surround sound system, and iPod docking stations are found in all room types, as well as free Wi-Fi. Villas and suites also feature oversized closets, terraces or balconies, marble floors, full marble baths, and gourmet kitchens with Viking appliances. 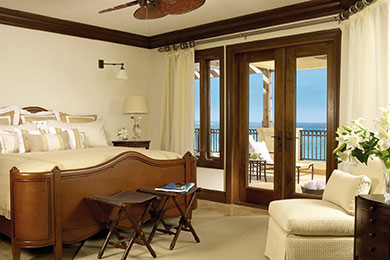 The resort is broken into three different suite configuration types, with garden and villa suites. Garden Villas are two-level accommodations with one- to three-bedroom suites ranging from 1,400 to 2,950 square feet. One-bedroom suites typically house three comfortably, although some can accommodate a second child. Two-bedrooms feature a king master and queen or doubles in the second bedroom with two full baths, while the three-bedroom features a third bathroom and a loft with sofa or trundle bed for a third sleeping room. Villa Suites are the most sought after, with views of the infinity pool and the ocean in configurations similar to Garden Villas. Suites range from 1,500 to 2,500 square feet, with three-bedroom villas featuring a queen third bedroom instead of a loft. The Estate Building, which is five stories, features one- to five-bedroom villa configurations with oceanfront or ocean views. Suites range from 2,500 to 5,300 square feet. One-bedroom villas offer ocean views with a king bedroom, living room with queen sleeper sofa, state-of-art full kitchen and dining room, and private balcony or terrace. Two-bedrooms have a queen or two doubles bed in the second bedroom, while three bedrooms have queen, doubles or twins in the second bedroom and a queen in the third. The five-bedroom penthouse is spread out between two floors with a king master, king or queen or full/twins in the other bedrooms. 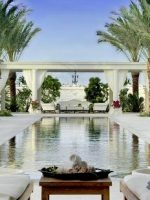 The resort features two swimming pools, one an infinity pool and the other a zero-entry pool closest to the resort's 300-foot, white-sand beach. 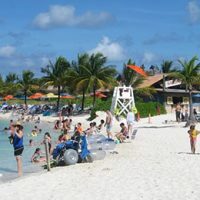 Steps away from the resort is Grace Bay Beach, where families can find plentiful chairs and umbrellas, beach games and beach volleyball. 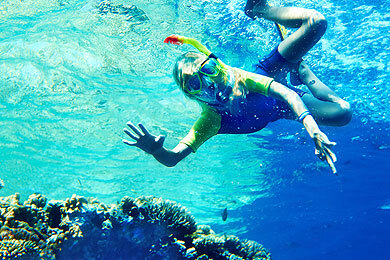 Kids 5 to 12 can enjoy the resort's free children's program with supervised activities like arts and crafts, games and sports, beach fun, scavenger hunts, movie nights and more. Teen programs are offered in a daily activity list, and children under 5 can join the club programs, if accompanied by an adult. A kids' dinner is offered on select nights during the week to give parents a chance to have couple time. The front lawn of the resort serves as an authentic, regulation-size croquet field, so bring your croquet whites and join in the fun. The casual, open-air grill overlooking the infinity pool provides lunch daily from 11 a.m. to 5 p.m., with some dinners on, on occasion. A kids' menu is paired with the regular menu of local and international dishes with a Caribbean flair. Private breakfasts can be pre-arranged. 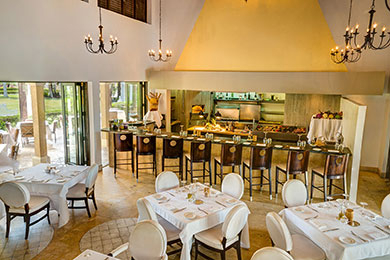 The resort's upscale restaurant serves breakfast, dinner and brunch on Sunday. Breakfast is served from 7 to 10:30 a.m. and includes things like eggs, fruit and pancakes on the kids' menu. Dinner reservations are suggested and dress is elegant casual. Guests can find flank steak, seafood and a raw bar on the dinner menu and the kids' menu offers chicken fingers, pasta and burgers. Families can enjoy the popular weekly beach BBQ on Tuesday evenings when Pavilion is closed. Enjoy the party and live music while feasting on delicious BBQ. Provided daily for breakfast, 7 to 10:30 a.m., lunch, 11 a.m. to 5 p.m., and dinner, 6 to 11 p.m. Private in-room dining can also be arranged with a personal chef and wait staff. Babysitting services can be arranged for in-room and evening services outside of the kids' programs. A small fitness center is open from 7 a.m. to 7 p.m. with Cybex training equipment and free weights. Yoga and Pilates is offered for a fee, and personal trainers can also be arranged, for a fee. The resort is busiest during the holiday season, when a seven-night minimum stay is required. Spring break is also high season for the resort, and the resort is most available during the summer and fall months. 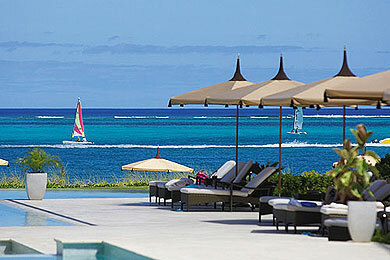 Turks & Caicos average year-round temperatures remain in the 70s and 80s, with summer providing afternoon rain showers. 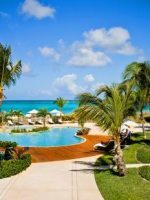 The resort is serviced by Providenciales airport, located less than 15 minutes away. Walking around the resort is convenient but if you have small children, a stroller may be a smart thing to pack. Schedule a treatment and a professional technician through SpaTropique a spa service that sends treatment professionals to multiple resorts to provide service in the dedicated treatment rooms, on the beach or in your suite. Services include massages, facials, body treatments, and nail treatments. Services are available 9 a.m. to 7 p.m., seven days a week, but must be booked in advance, as walk-ins are not available.